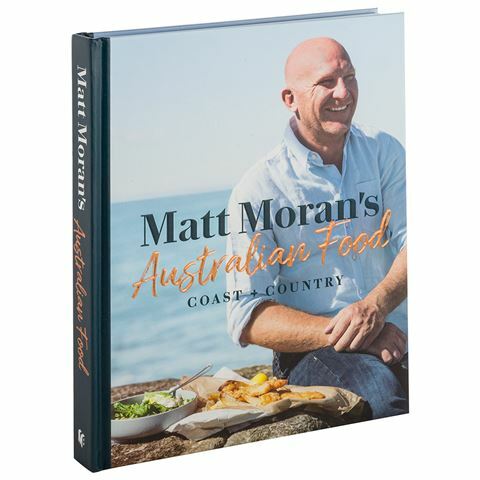 Australia has long been a haven for food lovers due to its diverse climate and incredible range of produce… Matt Moran’s Australian Food proves this better than any other book, featuring a set of recipes that’ll help anyone make Australia’s most famous dishes in their own kitchen. It doesn’t matter what sort of food you’re into, Matt Moran is guaranteed to have something to tickle your tastebuds! This lovingly put together cookbook contains everything from chicken schnitzel and fish curry to potato gnocchi and honey and macadamia tarts. The book is split into two distinct sections – coast and country – offering recipes tailored towards whichever part of Australia you reside in. So if you’re ready to celebrate Australia’s diverse collection of cuisines with one of the television’s best loved chefs, then be sure to pick up Matt Moran’s Australian Food. Dozens of comprehensive recipes celebrating Australian food culture. Divided into two sections, focusing on Australia’s coast and country. Introduction, acknowledgements and index by Matt Moran. Dimensions: 22cm (l) x 26.5cm (h) x 2.5cm (w).